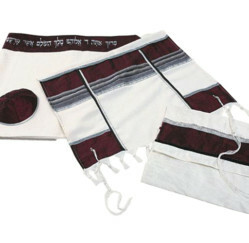 This tallit set has been especially created for being worn on festive occasions as the burgundy color, evoking the wine, is associated with the Kidush prayer uttered on Shabat and other religious holidays. 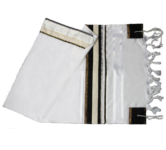 Wine is the symbol of joy, luck and sanctification and it is commonly included in festive meals like, for instance, the Passover Seder or at wedding ceremonies. 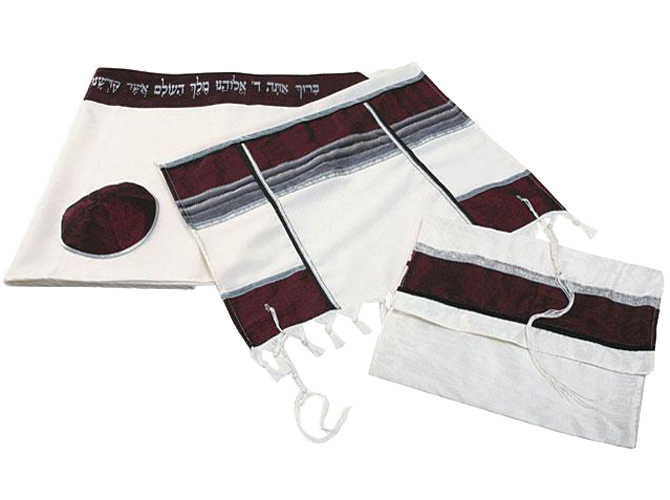 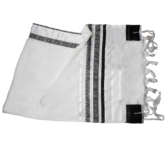 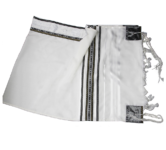 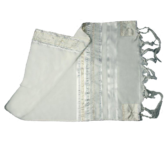 The hand made shawl, bag and kippa are made of wool and decorated with silver threads, all on a white background.